There’s a lot to love here – bacon, cheese, garlic, and the onions pretty much caramelize as you cook them. 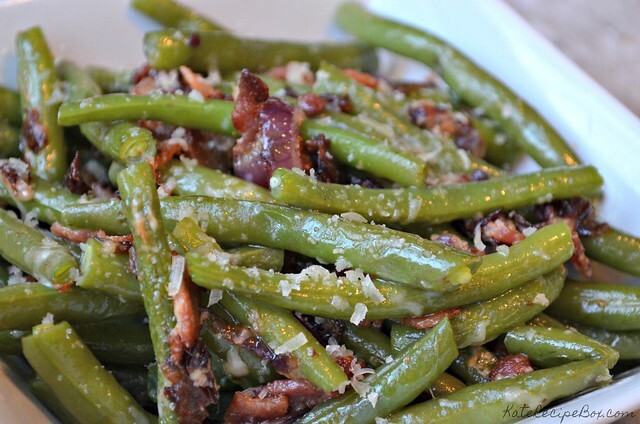 Fancy enough for company, but easy enough for a weeknight, these green beans are a real winner. Bring a large pot of water to a boil. Add green beans and boil for 3-4 minutes, then drain. Meanwhile, heat the oil in a large skillet. Add onion, garlic, and bacon to the pan and cook for 5 minutes. Add in onion salt, garlic salt, pepper, and green beans. 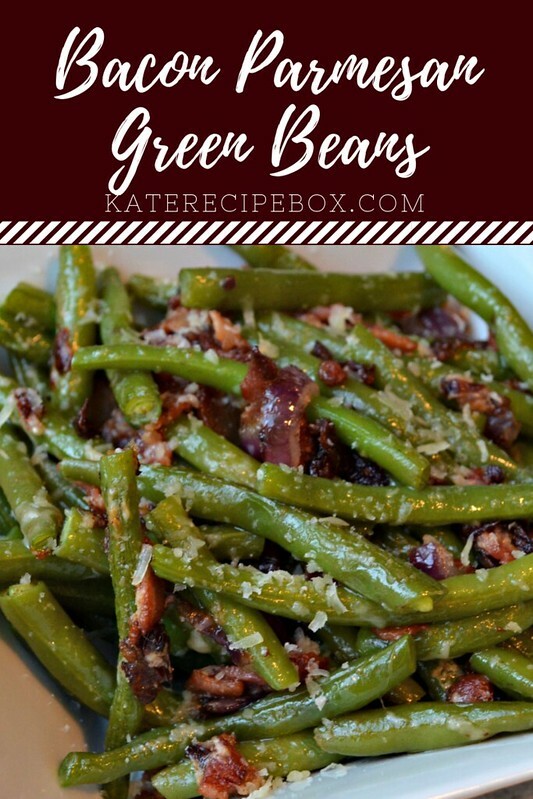 Cook until green beans are softened and everything is cooked. Stir in the Parmesan and serve. Oh man! These sound amazing. So many delicious flavors. 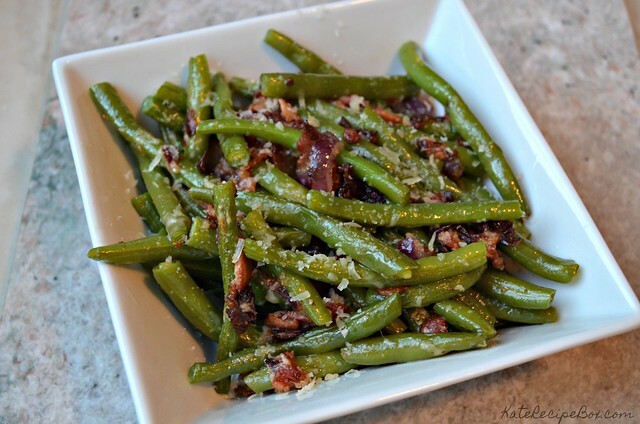 How can you not love green beans when they are prepared like this? This recipe sounds super flavorful. I am going to make this to go with our Christmas dinner! These look absolutely heavenly. I tend to get in a rut with the veggies I serve, but this will really jazz things up! Sounds like a delicious way to perk up some green beans.